What owners want are BIM deliverables they can use. Many owners move forward requiring BIM without defining what they want or why they want it. The results are often unsatisfactory (and costly). An owner’s best chance at receiving useful BIM deliverables is to determine what they want, how they want to use it and then contracting to get it. Understand an owners’ planning process for developing a BIM Project Delivery Standard. Learn about an owner’s expectation for turnover documentation and how they used it internally. Discover the pros and cons of dictating BIM platform-specific deliverables. Learn how to ensure your data is better maintained from ground break to post-construction. 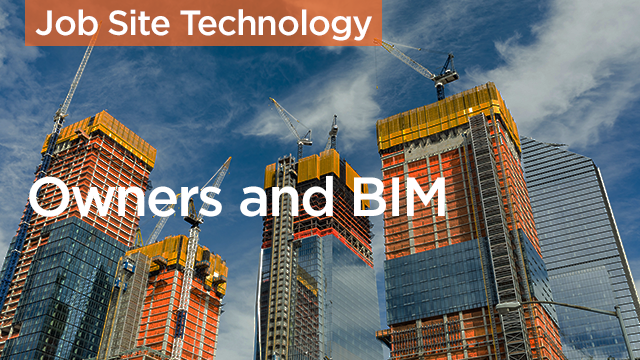 Owners and BIM - Why Do We Care?